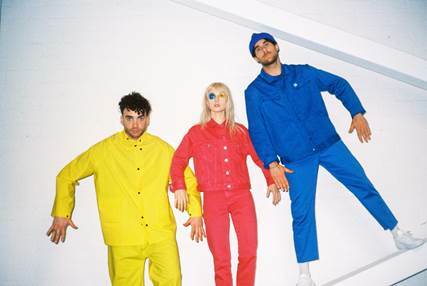 Paramore – who kicked off their upcoming world tour last week with an intimate hometown gig at Nashville’s Exit/In – have just unveiled a long-anticipated series of North American tour dates, in support of their new album After Laughter. Dubbed “TOUR TWO,” the trek gets underway Wednesday, September 6th at Jacksonville, FL’s Moran Theater and continues through mid-October (dates blow). Highlights include shows at some of the world’s most renowned venues, including Los Angeles, CA’s Greek Theater (Tuesday, September 26th), Atlanta, GA’s Fox Theater (Monday, October 2nd), and New York City’s Radio City Music Hall (Wednesday, October 4th). Support will come from Best Coast. Next, Paramore will perform “Told You So” on CBS’ The Late Late Show with James Corden, set for Wednesday, May 24th, followed on Friday, August 25th by a special performance on ABC’s Good Morning America as part of its star-studded 2017 GMA Summer Concert Series.